As a business, your reputation is paramount — the amount of work you get depends on it. To maintain a positive one, you need to do outstanding work. But you also need to put your best foot forward when it comes to your business, especially when you’re dealing with billing and invoicing. Snags in the process can lead to confusion and headaches for both you and your customers, and your reputation could take a hit. Here are some common invoicing mistakes and how to avoid them. Many people choose to create an invoice in Excel or Word. While this is a fine choice in theory, creating and designing your own invoice may leave you open to errors and an unprofessional look. And if you’re constantly updating your templates, your changes could confuse customers. To avoid these pitfalls — and make a good impression — use an online invoicing system that has invoicing templates baked in. Square’s invoicing tool, for example, has ready-to-go templates with fields for all the necessary information. You can also customise these invoices with your own logo to ensure a seamless customer experience. Your invoices need to have all the basics: your contact information, the dates and fees for the project, and the grand total. But to keep bookkeeping tidy, it’s important to give each invoice a unique number for easy reference. How you choose to number them is up to you. Just be consistent and follow a sequential order so they’re easy to track and manage. Paper invoices are outdated. They’re also more likely to get lost in the shuffle, meaning they take longer to get paid. These days, online invoicing software can mitigate this. 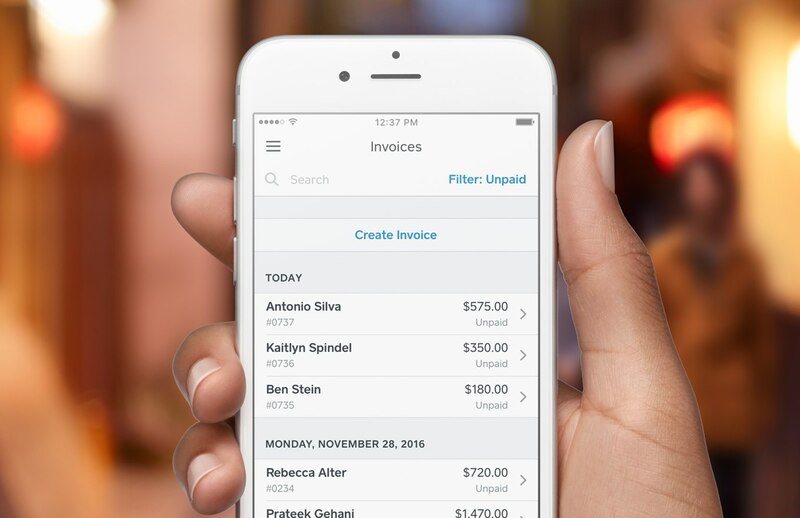 With Square Invoices you can quickly create invoices and send them straight to your clients’ email inboxes (from your desktop computer or mobile device). From there, they can pay you with just a click. Offering this level of convenience to your customers makes for a more positive and efficient payment experience. Customers expect to see and pay bills by the date you mutually agreed upon. But when things get busy, it can be hard to stay on top of that schedule. An easy way to avoid late sends is to schedule invoices through your online invoicing software. With Square Invoices, you can schedule your invoicing in advance, and even set up recurring invoices for longer-term projects. How you manage the business side of your practice is extremely important. Avoid these invoicing mistakes with an online tool like Square Invoices.